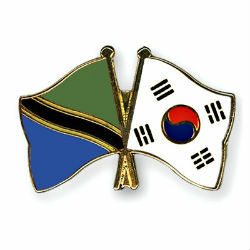 Tanzania and Korea met in a one day conference organized in Dar Es Salaam to discuss best practices for Public-Private Partnership (PPP) ventures. Deputy Permanent Secretary in the Ministry of Finance, Prof. Adolf Mkenda said it was a great opportunity to learn from South Korea being one of the strongest economies succeeding by involving the private sector in various national projects. Mkenda mentioned that Tanzania has learnt during the conference the role of government in cooperating with the private sector to achieve sustainable development. Representative of South Korea Dr. Cae One Kim said that such conferences strengthen the good relations and cooperation between the two countries to promote economic, commercial, technological and cultural issues amongst each other. The Public Private Partnership Policy of Tanzania was issued in 2009, the Public Private Partnership Act (PPP Act) was passed in 2010 and the PPP Regulations was passed in 2011. The government of Tanzania reviewed and improved these acts in 2013/2014, as announced in the June 2013 annual Budget (PMO, 2009). According to World Bank transformation of agriculture will depend on heavy investment in the development of competence for delivery of PPPs to contribute to the attainment of Vision 2025.